Pakistan has requested for a $12 billion help because its economy is in a shambles. The foreign exchange reserve is at $7.3 billion whereas a dollar itself buys 140 Pakistani Rupees. The monthly trade deficit is at $1.7 billion. 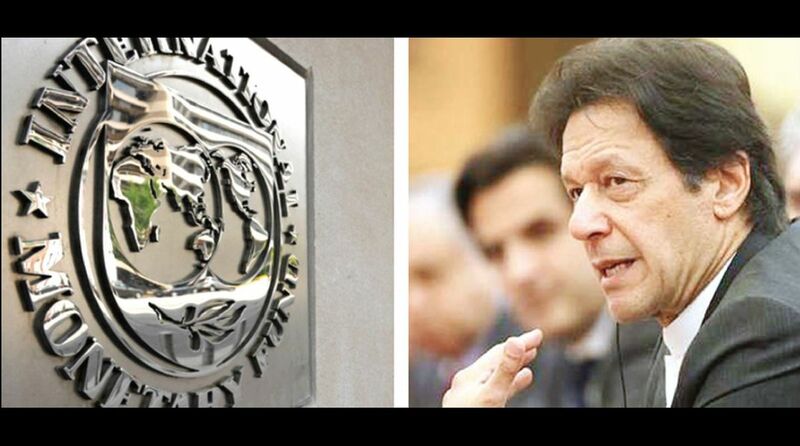 There are reports that Pakistan has decided to request the IMF (International Monetary Fund) for a Bailout Package starting from January 2019. This would be Pakistan’s 19th IMF Package. Pakistan has requested for a $12 billion help because its economy is in a shambles. The foreign exchange reserve is at $7.3 billion whereas a dollar itself buys 140 Pakistani Rupees. The monthly trade deficit is at $1.7 billion. Saudi Arabia gave $3 billion in November and also staggered payment of $3 billion of oil for three years, but the bending of the knee by the Imran government before China, Malaysia and UAE (United Arab Emirates) has not brought sufficient finances and the dexterous beggary may lead to an addition of only $3 to 4 billion which in itself does not help the economy. It is understood that USA would like to see progress in combating terror financing and more cooperation in Afghanistan as conditions attached to this proposed IMF Package. At present Pakistan owes $96 billion of foreign debt which it has to pay in next few years. The year 2019 is going to be precarious for the abysmal state of finances. It is estimated that the country would require around $31 billion – $19 billion in balance of trade and $12 billion in loan repayments in 2019. In addition, internally there are too many white elephants. The cost of an inefficient power sector to Pakistan’s economy is around $18 billion per year. This comes at around 6.5 per cent of the country’s GDP. The CPEC (China Pakistan Economic Corridor) the Belt and Road initiative from Kashgar in China to Gwadar Port in Baluchistan launched by Chinese President Xi Jinping in April 2015 may also help to some extent but the $46 billion project (now increased to $62 billion) is a long-term plan and covers buildings, roads, railways, industrial zones and increasing production of electricity, solar power and improving of agriculture. However immediate pumping of money is required by the Pakistan economy which only the IMF’s kindness can give. CPEC’s potential impact on Pakistan is like that of the Marshall Plan undertaken by the United States in post-war Europe. Pakistani officials predict that CPEC will result in the creation of upwards of 2.3 million jobs between 2015–2030, and add 2 to 2.5 percentage points to the country’s annual economic growth. It is beyond doubt that CPEC carries a colossal importance in the upkeep of amicable relations especially through perpetual commercial linkages which encompass over 2,700 km from Gwadar to Kashgar. Overall, the project is surmised to be completed in 15 years through three different phases — 2015-2020, 2020-2025 and 2025-2030. CPEC and its connectivity to Central Asia, the Middle East and Africa are strongly believed to redesign the current economy of the entire region. The corridor is an extension of China’s proposed 21st century ‘Silk Road Initiative’ or ‘Belt and Road Initiative’ (BRI), which is a strategic initiative for the entire region that aims to make Pakistan an economically vivacious and business-oriented country. In the first phase of implementation of CPEC (early harvest projects), priority has been given to developing rudiments of CPEC to initiate economic activities. CPEC is vital for China to gain access to a second coastline. The successful completion of this project will open avenues for China to exploit the economic resources of Baluchistan as well as give access to Gwadar port where China has already gained near sovereign rights to manage and operate the port. The US will be uncomfortable with the Chinese presence on the Makaran coast. It appears that US will not leave Afghanistan in the near future, especially at a time when Russia and China are stepping into Afghanistan to pursue their respective strategic interests. The difference is that Russia is keen to prevent the US and China expanding into Central Asia and getting strategic space in Central Asia. China, on the other hand, wants to step into Afghanistan to exploit the economic resources and create a buffer to prevent a spillover of jihadis into Xinjiang region. China and Afghanistan share a 90-km-long border that poses significant security concerns for China. China’s investment in CPEC is the largest in the history of the two countries and it is indicative of the high stakes Beijing has invested in Islamabad because it serves China and Pakistan’s economic and strategic interests. CPEC can potentially complement China’s modernisation of its western region to neutralise separatist tendencies through the economic uplift of Xinjiang and CPEC appears to be the most effective way of diversifying China’s exports and energy imports. For Pakistan, it is bringing a lot of investment leading to infrastructure development and job creation. The Imran Khan government came to power in August 2018 on the promise to put before the public all the projects/ contracts under CPEC because there are reports of corruption in many of them. However, since his Government is a protégé of the Establishment (Army and ISI) it is not in a position to annoy the powerful army. Thus the proposed forensic audit and reopening of contracts gets shelved as in a lot of contracts the Fauji Foundation and Frontier works organization of the Army are indirectly involved. There are reports that Pakistan might get another loan of $7.5 billion from Asian Development Bank next year but it is still not confirmed. How Imran navigates the economy would be known in weeks and months to come because the success of his government would be possible only if he sagaciously manages to stabilize and boost the non- performing economy. Only that would satisfy the powerful Establishment. Pakistan’s Establishment like beautiful damsels has little patience and discards the protégé sooner if he does not perform. 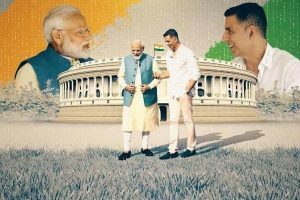 The writer is a senior IAS officer of the Punjab Cadre and is working as Secretary to Government of Punjab.